A Kilt made by Houston’s, if cared for correctly, can last a lifetime. As your body changes over time there can be a need for alterations to be made to your Kilt to keep it fitting you perfectly. Houston’s owner Ken has had one of his Kilts for 30 years, having had 4 alterations to it over the years to keep it looking its best. We offer a wide variety of alteration and repair services for your Kilt to make sure that through its life it still fits you perfectly. Our in-house seamstress has over 30 years experience and with her skilled eye can identify solutions that can be made to keep you in your Kilt! Best to bring your Kilt into the shop where we can take a look at what alterations can be made. Kilt Waist Alterations – Often Kilts made have some extra material left that can be let out if your waist size increases. Alternatively Kilt can be taken in if you lose weight and your Kilt struggles to stay up. When buying a Kilt from us, we ask if you wish the Kilt to be cut for growth – this means we will leave some extra cloth hidden in the seam, leaving you with more options to let the Kilt out at a later date. Moving Kilt Adjustment Buckles – The buckles attached to your Kilt can be moved either out or in, giving more of less room. This can give your Kilt a better fit if your weight changes. Our seamstress takes great care in making sure that the tartan cloth attached to the buckle blends in as best as possible to where the buckle is moved too. Worn Kilt Strap Replacement – Over time, your leather waist straps can experience general wear and tear after years of tightening and loosening and may need replacing. Replacing tired looking straps means that ever detail of your Kilt is looking great. Kilt Lining Replacement – Worn waist kilt linings can be removed and replaced with new material. The lining of a Kilt is there to protect the Kilt from general wear and tear, so may need replacing over time. Kilt Shortening – A Hem can be added to your Kilt if it is too long. This can be let down at a later date if required. Complete Kilt Remake – We can take apart your Kilt and reassemble it from scratch. This is quite an extreme solution and we recommend it as a last resort. 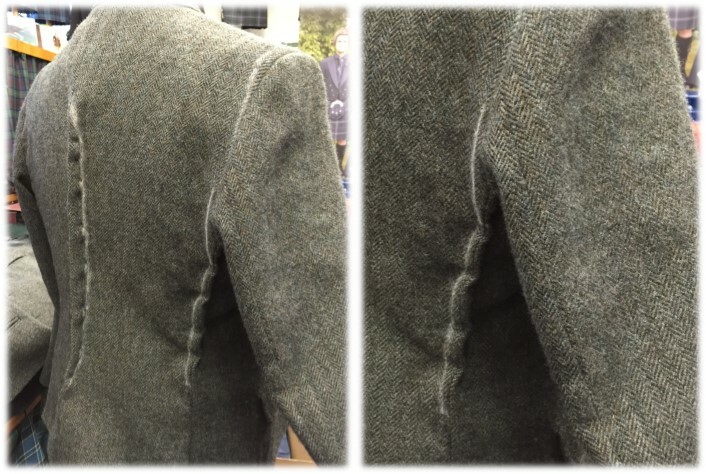 These alterations are available on a kilt by kilt basis – best to bring in your Kilt so we can take a look and see what solutions are available to us. Pricing is subject to the work done and quote available on request. Get in touch with us with your query and we will be able to best advise what we can do to get you looking your best in your Highland Outfit!